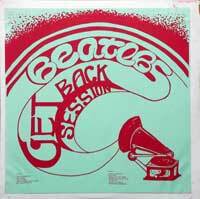 Around 1970 the first records with "non official" Beatles recordings appeared on the world record market. Live recordings, outtake, BBC radio performances or X-mas messages, slowly it all became available on vinyl. It was evident that these records contained recordings that filled a gap and had to be heard. 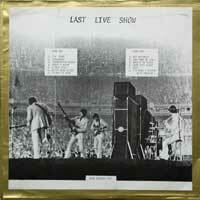 It satisfied the needs of fans whom all wanted to hear new or "other" material of the Beatles. Currently over two thousand titles of Beatles bootlegs have been released. First on vinyl but later, in the mid eighties, on CD. And although some titles sold in huge numbers, most were produced in limited numbers. 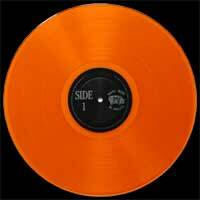 Limited pressings varied from 100 to 500 copies of a record. Trademarks were or not available or were faked names such as MAK, Pine Tree, Contra Band or Trade Mark of Quality. The earlier releases of bootlegs on vinyl were often of a very poor sound quality. Taken the fact that sleeves also were often no more than a plain sleeve with a stamp. It was strange that some of these records were sold at all, but I admit, I bought them too. Later the quality of bootlegs became better in general, but still a lot of rubbish came out. After the introduction of the CD (ca. 1982) it was to be expected that bootlegs were introduced in this format too. 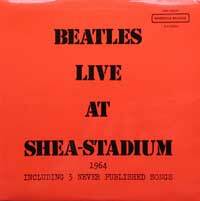 The bootleg CD often looks not much different and sometimes even better than some of the official Beatles releases. Besides its looks, due to the digitalization, the sound quality has been much improved compared to the vinyl versions. The existence of Beatles bootleg CDs and their impact on the market urged EMI and Beatles to release their own official answer to the bootlegs. The first answer was "Beatles at the BBC", released in 1994. This was years after the first illegal CD series of BBC bootlegs had been released. The official EMI version in general had a better sound quality than bootlegs. In few cases though, EMI had used low quality bootleg versions for their purposes. These being the only available versions of some recordings. No end to illegal output? The output of bootleg CDs didn't even slow down. Fans wanted evrything that the bootleggers could get their hands on. 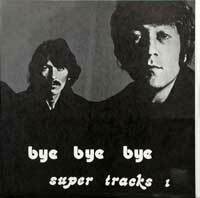 As a definitive answer, EMI and the remaining Beatle members decided to release the Anthology CD sets (1995). But, also this effort has not stopped the release of new Beatles bootlegs.